Even if you seem to spend all day reading and writing emails, you probably only write six distinct kinds of messages. Here are some tips for helping you be more effective when writing them. Make sure your tone is appropriate for your reader. Consider your relationship: are you asking for something from a friend, your boss or your direct report? Every relationship will require a different tone. Always be polite and follow up gently. It’s best to ask for one thing, or several things related to that one thing, in each message. Keep your focus clear. If you are requesting several unrelated things, write separate emails. Make sure your request stands out. Put it up front—don’t bury it at the end of your message. Be direct and respectful. Put your response up front, even if it’s bad news. If you are embedding several responses, use a different color. If the email will be printed and filed, the color won’t show up, so use a different font. If you need time to respond, let the reader know. Use an out-of-office autoresponder if you are away for a day or more. Email is ideal for sharing information. To let your reader know it’s just information and there’s no need to act, use an FYI in the subject line. Being cc’d in an email similarly means you need to know about but not act upon the message. It’s polite to thank someone who does something for you, and it’s nice to be thanked. However, beware of never-ending thank you/you’re welcome chains. Make sure your reader wants to be thanked. Some don’t! If you don’t want your inbox cluttered up with thank you’s, use NRN (no response necessary) in your subject line. And remember to let people know what NRN means the first few times you use it. If you’re apologizing for a big blunder, maybe email isn’t the best medium. Pick up the phone, or pay a visit instead. This is one thing email excels at. 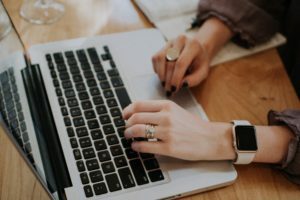 The best emails have a friendly tone and use the beginnings and endings to make a personal connection. I think it’s also important to think about the structure of your sentences and read them over before sending. Because e-mails lack the cues given by body language and vocal tone, the text of the e-mail has to be unambiguous. Some sentences convey completely different meanings depending on which words in the sentence are emphasised. You don’t hear that emphasis in an e-mail. Get our blog delivered to your inbox so you don't miss any tips, job aids, or updates.